M4A or the MPEG 4 Audio is a file extension used to store audio data. This was made by Apple which is quite similar to .mp4 and .mov formats. Even though it produces better quality of audio, the fact that its compatible devices are limited, it then can’t be maximized by the users. But digital world has created M4A converters so it will be accessible wherever you are. This is specially designed file converter of M4A to various audio types. It can convert M4A to MP3, M4A to AIFF, M4A to WAV, and M4A to OGG, AAC, LAC, CAF, APE, RA, RU and so on in a fast speed. They offer advanced editing like split audio, merge, adjust the audio quality, audio channels, bitrates, to trim, and customize audio output volume. It features converter for typical applications of Mac such as Mac M4A MP3 Converter which is capable of converting MP3 to MP4 besides aside from converting M4A to MP3. It is also capable of converting Voice memos from iPhone/iPad to MP3. M4A files may lose compression especially if it was imported to Final Cut. But if you really wish to import files from M4A to the Final Cut, it is recommended to covert first M4A to AIFF. M4A conversion to WMA and WAV. M4A audio format is usually not compatible to Microsoft Windows. If you want to share M4A files to PC of a friend, it will be necessary to convert it first to MP3, WMA, or WAV. This converter is also capable of merging your audio clips and places it on one file. It also features cutter for MAC where you can cut and trim the audio part you didn’t want. Covert only the part you like while setting the timer function of the trimming. It also has splitter where you can easily split the files either by embed chapter markers or file size. M4A converter also allows automatic conversion of files even if it comes in a large file volume. Bigsoft M4A converter to MAC support easy step that suits both beginners and veterans. It is available across the globe and support several language such as German, Italian, French, Japanese, Chinese and English. 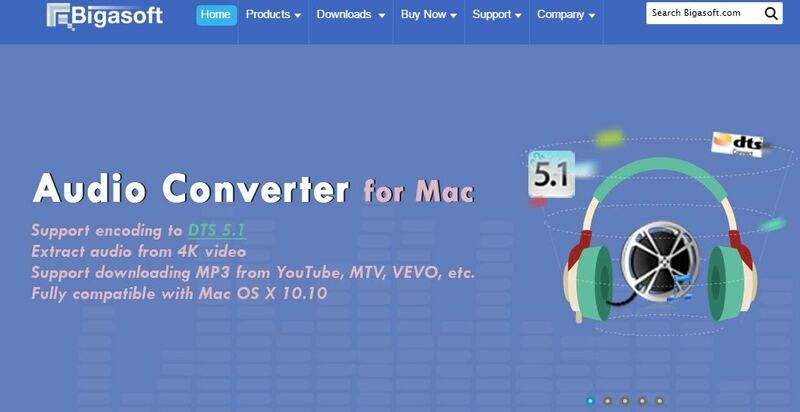 It is a Mac iTunes Music Converter software that converts iTunes from M4A to MP3, converting it for non-Apple players playback as well as for mobile phone players such as BlackBerry, Creative Zen, PS3, PSP, Walkman, Xbox, Pocket PC, LG, Nokia, Sony Erickson, Motorola, Google phone and many more. This converter will serve as MAC’s virtual CD-ROM drive and allow you to get rid of DRM element so you will not be in need of actual CDs. This is a professional audio conversion tool that converts files without losing and anything while remaining each in its original quality. It supports several audio formants and has an optimal presets for various famous media devices such as Samsung Galaxy, HTC, Nokia, Sony Xperia, Apple iPhone and many more. It is also extremely easy to operate and can be downloaded for both mac and windows. The file format of M4A is not precisely a household name. But Apple’s iTunes store, which is the leading force in the field of digital music dissemination, releases music in the format of M4A together with AAC. Since M4A formats are unfriendly to any Microsoft Windows, one still need to convert it other type of audio formats. Considering the fact that MP3 are widely recognized by most media players and devices, it is therefore beneficial to know how to convert MP4 to MP3. Part2 How to convert M4A audio files on Mac Computer? You can see in the iTunes upper right corner a button. Click that and a small down arrow will appear, click afterwards when you see the ‘Preferences’. The General Tab is supposed to open by default, if that does not happen, just then click it to open. Search for the Import Setting and then click the “OK” button on it. ou can see a drop down in the right direction of Import Using. Click that and select the MP3 Encoder. If you wish to adjust your song’s bit rate, then go for it. Your music will sound better if its bit rate is higher. But the higher the bit rate of a song, the file and the space will also come in a big rate. It will be recommended to go with 128 in case of a tight space. Afterwards, click Custom following the Setting found in Import Setting window. Now, choose your preferred bit rate from the drop down of Stereo Bit Rate. Other settings can be adjusted here as well as reverting it into defaults. If you are already finish, you can now click OK button, twice. 3.When the setting is already done, right-click the song or the file you want to convert and then click the Create MP3 Version Button. Mac’s MP3 converter is one of the most efficient software that can be used to convert M4A audio formats to other type of audio formats. This software is well-known for its high quality and high speed conversion without losing any files.